Today's post is sponsored by Progressive. All opinions are 100% mine. As a lot of you know, my wife and I are going through the process of building our first home! Even though we heard a lot of horror stories about new construction before we decided to go forward with the project, it's actually been the complete opposite for us. Every step of the way has been fun (with the exception of one or two minor issues), and we've been so stoked to go to the build site every day and see the progress. Like a lot of Millennials, we lived with my in-laws for several years to save money and have since lived in an apartment that we are super ready to move out of. Our closing date was actually moved up by about six weeks because of how well the build has been going, which means we'll be moving in pretty soon! Progressive recently created a tool called the HomeQuote Explorer that makes it extremely easy to shop and compare home insurance policies. 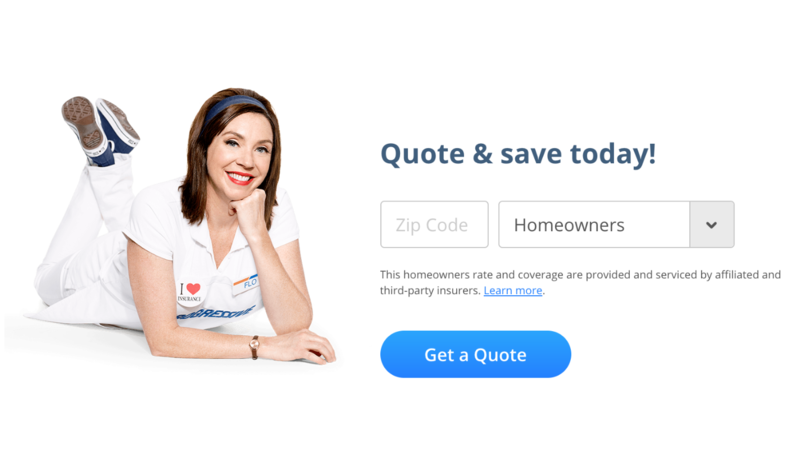 HomeQuote Explorer is a Millennial friendly, fast online tool that will give you multiple quote options from Progressive's network of homeowners insurance providers. 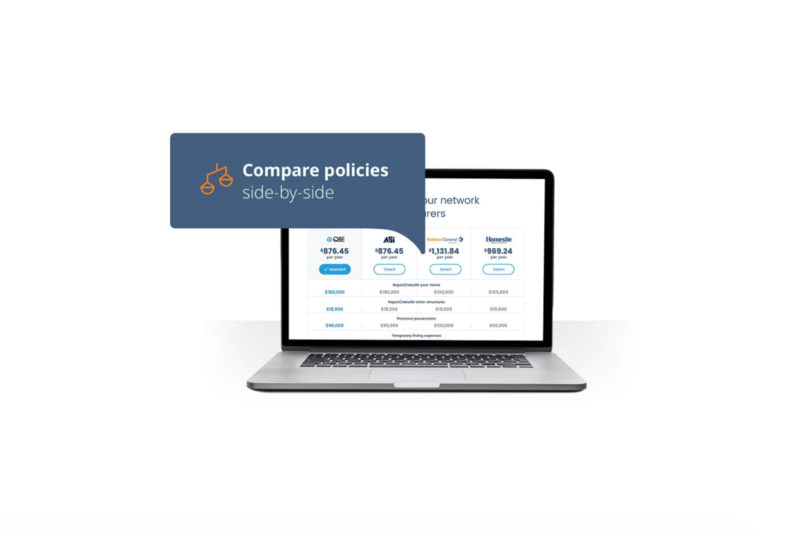 I've been a Progressive customer for several years now and have always been happy with their service and policy prices, so I'm excited to see them come up with a tool that helps users see a range of options when shopping for their homeowner's insurance policies. As with anything else, the more options you have to consider before purchasing, the better. Progressive has streamlined the shopping process, making it as simple as possible. After you enter your address, Progressive will auto fill as many answers as possible after pulling information about your home from places like your county auditor and other public records. Then, HomeQuote Explorer uses a picture selection process to help you identify what type of countertops your home has, your roof type, and more. An important thing to note here – Progressive is currently the only insurer that allows you to shop and compare multiple quotes at once. Based on the information that you provide, and what Progressive auto filled in step one, you'll be paired with a policy and provided with other quotes to compare side-by-side. From there, you select your home insurance policy and are on your way. If you'd like, Progressive will contact your mortgage company and coordinate the billing and show proof of insurance. This allows you to wrap up your mortgage payment and insurance into escrow instead of making a separate payment to Progressive every month. If you are like us and need to pick up a policy soon for your first home, or want to find out if you could be saving money on your existing homeowner's insurance policy, get a quote from the HomeQuote Explorer. How much do you spend on home insurance? Very helpful, I’ll have to take a look at this. I only got one quote so far (it’s a bit early still to really nail that down, we don’t have a close date yet, etc.) but it came in just under $900/year. I’ll be curious to see how that compares! Our close date is September 13th (hopefully). Getting close! My (soon-to-be) neighbor’s sister (coincidentally also our soon-to-be-neighbor) is closing on the 13th as well. They started their house about 2-3 weeks ahead of us, but they knew their close date by July 4th. I’m kind of surprised that a month later we still don’t know yet. When we originally got everything set up, we told them we wanted to close in November. Hoping they’ll honor that, but they can force our hand if they give us 30 days notice. We’re prepared to close Sept 29th but since we have our lease until mid-Nov I’m hoping they delay at least until October so we don’t get hit with (half) rent + mortgage in November.